Frances Maxine Sterling was born October 14, 1931 in Corsicana, Texas to Edward and Georgia (Bridges) Carey. She passed away January 24, 2019. She was 87 years of age. Frances leaves behind to cherish her memory three devoted sons, Frank W. Sterling, Jessie M. Sterling, and Rodney D. Sterling; two beautiful daughters, Carla Sue Boehle and Janice K. Beason; grandchildren, Connie Boehle, Cindy Langley, Chuck Boehle, Amanda Sterling, Cody Beason, Jenny Crank, Nicole Sterling, Jason Sterling, Brandon Sterling, and Matthew Sterling; 13 great grandchildren; numerous other extended family and dear friends. Frances will be remembered for her great skill as a cook. 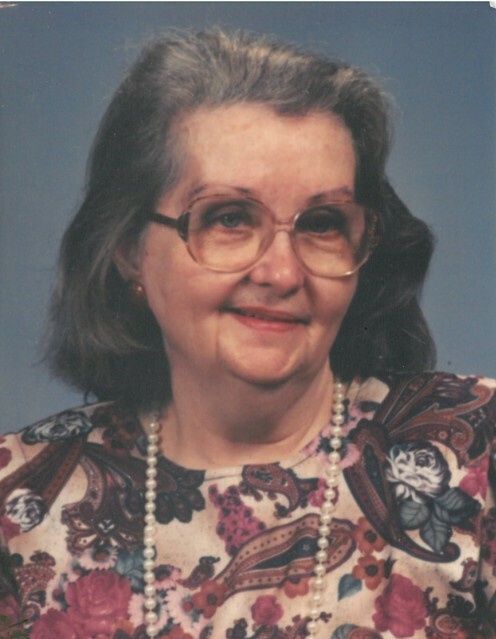 A graveside service for Frances will be held at 2:00 pm, Tuesday, January 29, 2019 at Laurel Oaks Memorial Park in Garden of Easter Hill. Rev. Jerry Brown will officiate. The family will receive friends at the funeral home from 6 - 8:00 pm, Monday evening, January 28, 2019. Laurel Oaks Funeral Home & Memorial Park is located at 12649 Lake June Road, Mesquite, Texas 75180 and is in charge of the arrangements. Please call 972-288-4663 for more information.